« Did we mention we’re on Facebook?? No? Well we are! 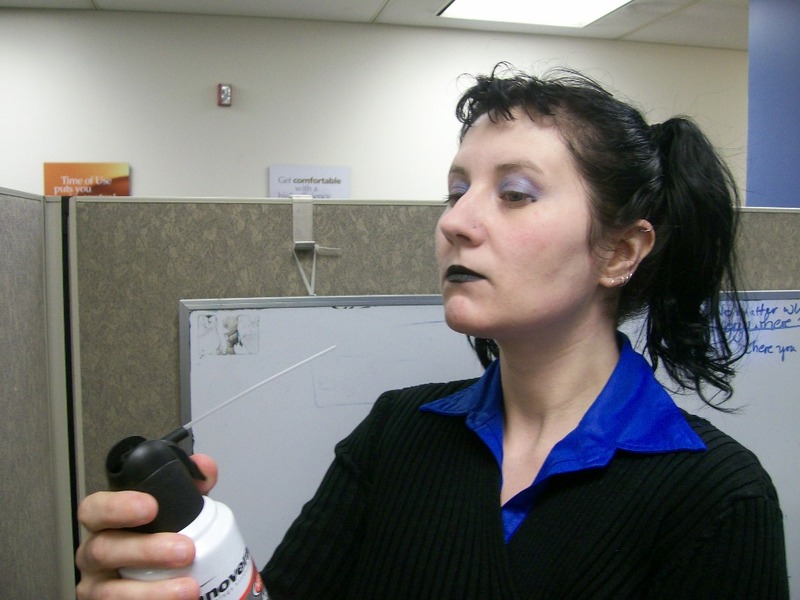 ﻿The Portland Black Lipstick Company understands how difficult it is to keep a matte complexion in the workplace, so our first lab experiment takes place in an office cubicle somewhere in downtown Portland! "Oh no! 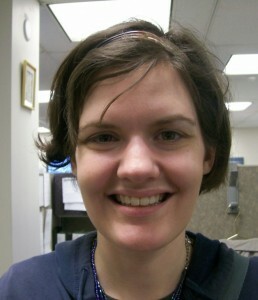 My nose is terribly shiny and I'm stuck at work without any face powder!" 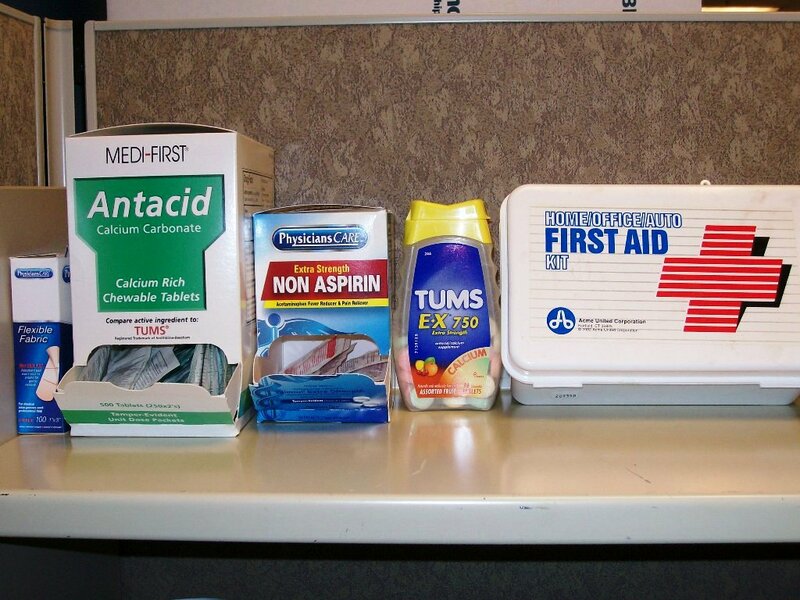 First, locate your office’s first aid kit. 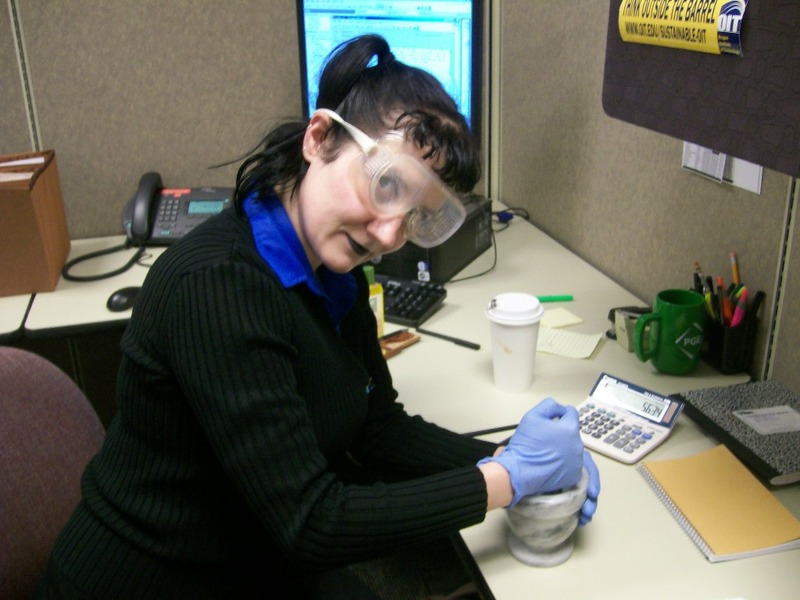 Thanks to OSHA, most work places come equipped with loads of fun stuff! What you want to find are those cute little antacid packets—the ones with calcium carbonate as the active ingredient. This is pharmaceutical grade chalk mixed with a binder and made up into tablets. Chalk has been used for thousands of years in cosmetics and can still be found in many modern makeup products. 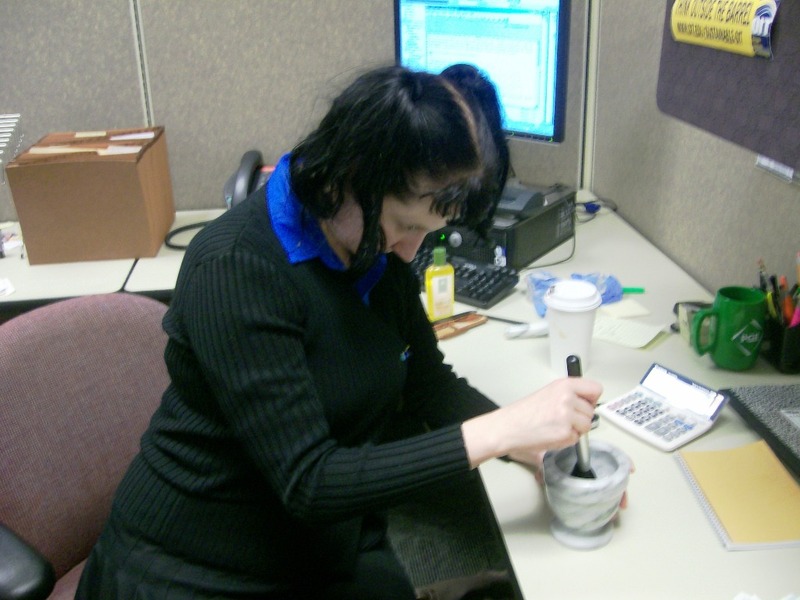 Now all you need is a tool or object to grind the tablets up so you can apply the resulting powder. I’m sure you can find something. 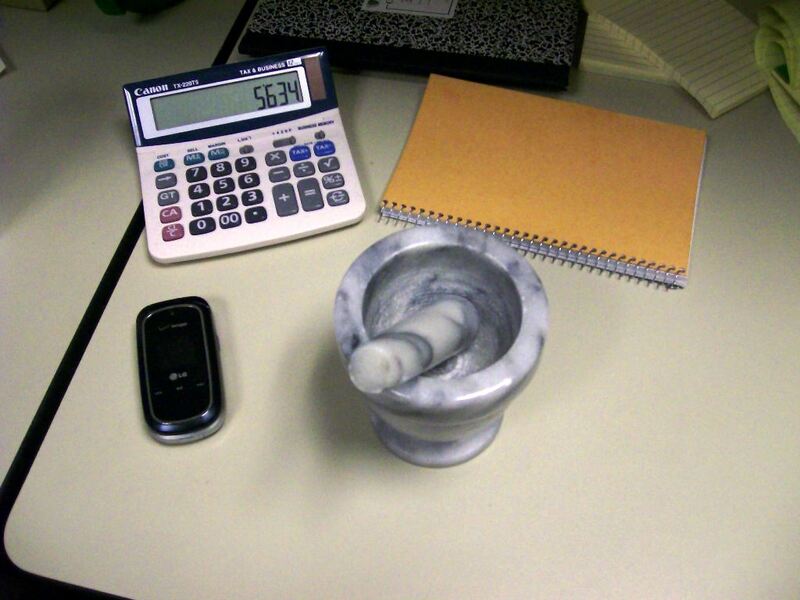 I like to use a mortar and pestle. These work very well and make a great desk accessory. The well-ordered desk of an office professional. I’m very paranoid about getting bits of things into my eyes, so I actually *do* wear safety goggles when smashing things up. Besides, safety gear is fashionable. Grind to a fine and uniform consistency. Congratulations! You’ve made face powder! Now, apply it with whatever you might have handy. Dip the brush into your powder. 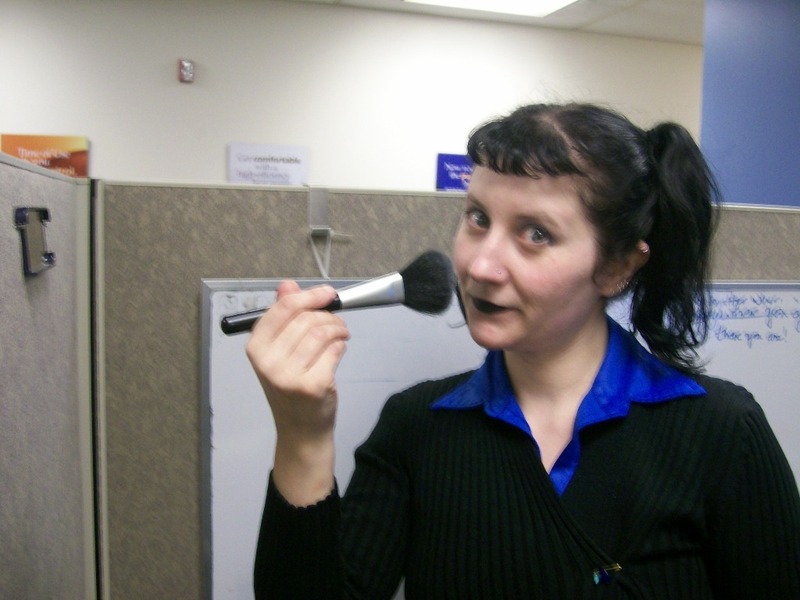 Dip your powder brush (or cotton ball, or whatever) into the mortar and then gently dab it onto the face. 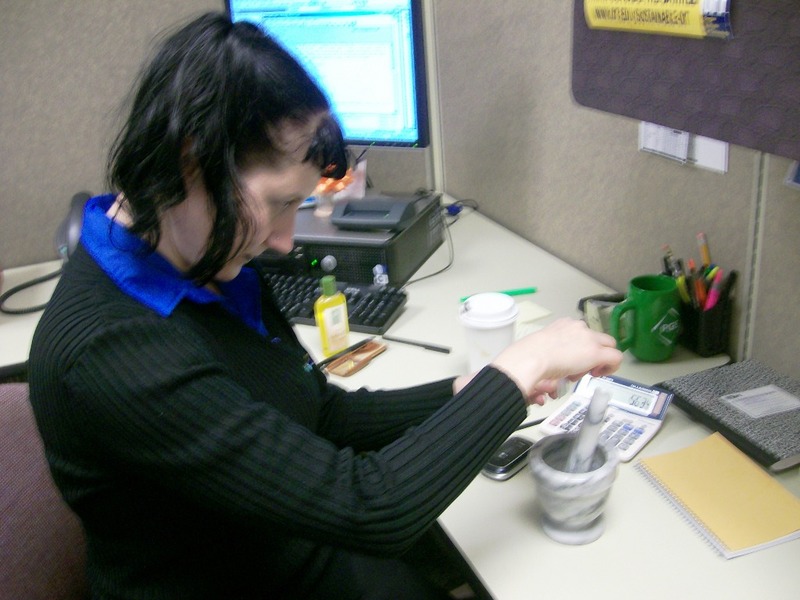 Thanks to Nora for documenting this experiment for the benefit of office workers everywhere! !